Is that Water | Just Shooting Memories! My children and I were hiking up Goforth Creek at the end of the summer. 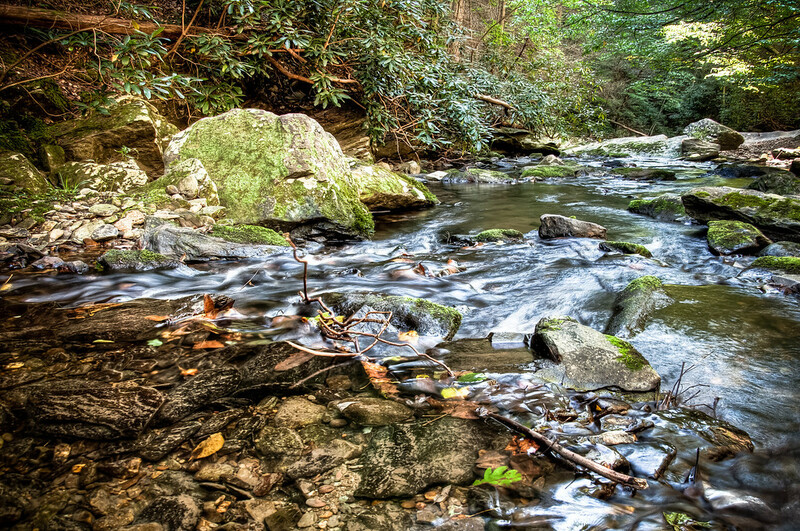 It runs into the Ocoee River and for the first several hundred yards, has some really good waterfalls. After that, it levels out and has just some small shallow rapids with the occasional cascade. This was one point where all three of us were wading. I saw how clear the water was just before entering this shallow area. It was so clear that the depth of the water is deceiving.